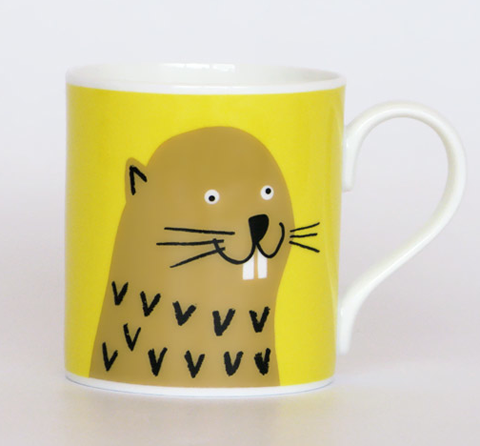 Beaver Mug by Lisa Jones. I *love* beavers so I was super excited to find this. No really, don’t laugh. Next up: my recommendations for mugs. 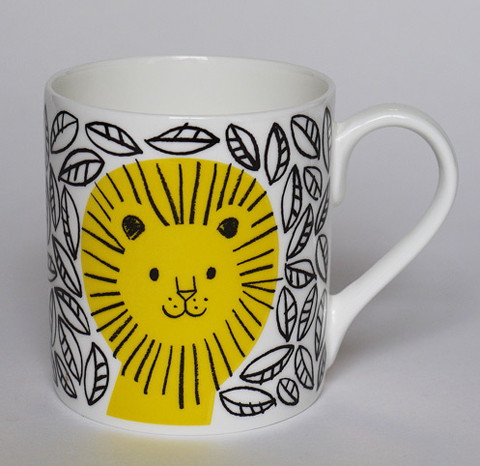 Yes, a whole blog devoted to the sexiest mug designs: I can’t resist them! 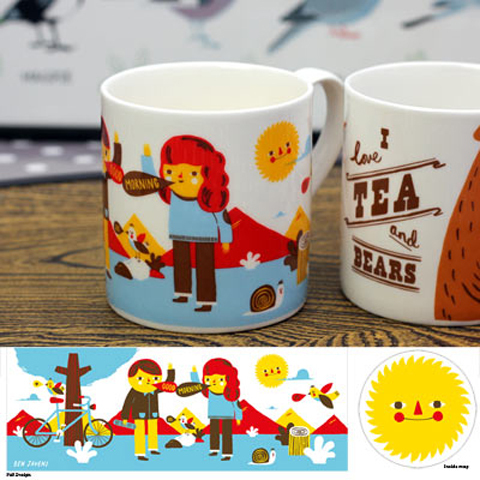 There is nothing better than a good cup of tea in a beautifully designed and well proportioned mug, so I’ve scoured the internet to bring you these great designs: just in time for Christmas. 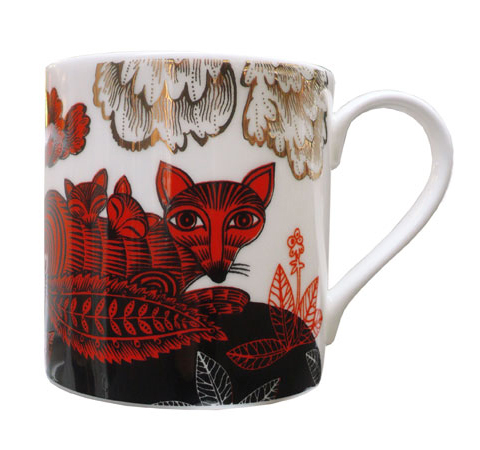 I was so pleased to discover that Lisa Jones has applied her wonderful retro style critters to bone china mugs. 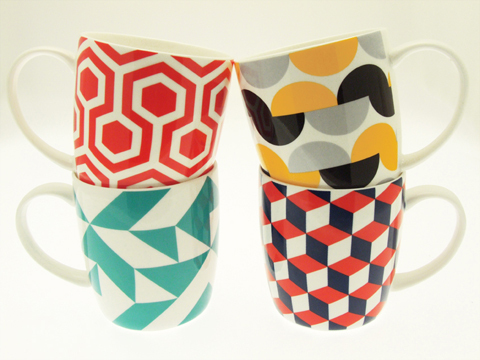 I love 1973, and not just because this husband and wife team were born in 1973 (and so was I) – their shapely new Grafika mugs bear bold optical designs. 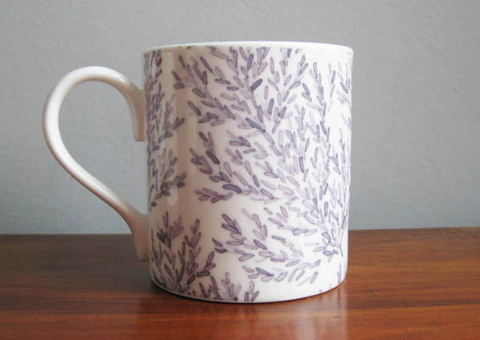 And for something a bit more subtle, how about this leaf branch mug by Freya Lines? Originally created in pencil and watercolour, then digitally printed onto china in Stoke-on-Trent. Fab character illustrator Ben Javens has created this fun landscape design for new website Beast in Show, an off shoot of To Dry For. 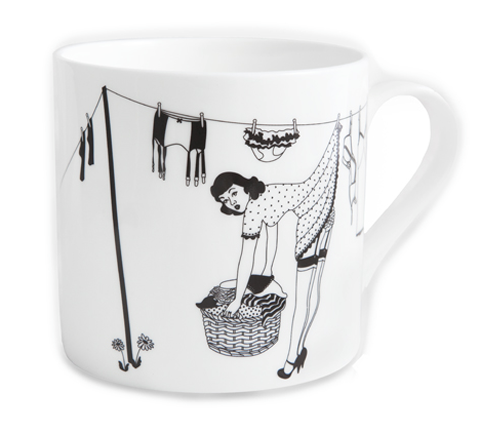 For something a bit more saucy how about a 50s housewives cavorting with her washing, on mugs designed by Dupenny. 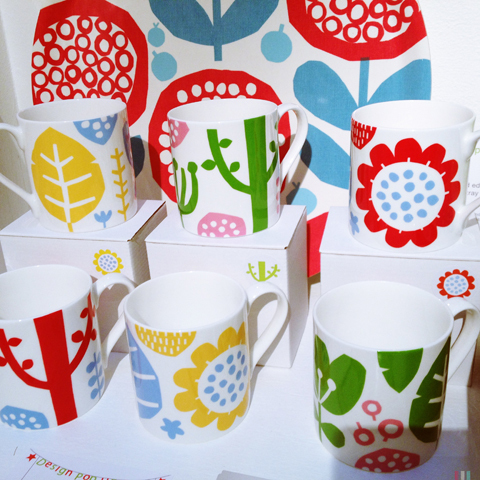 Then hop on over to Kate Clarke London for bright and happy homewares: a Craft Central discovery. 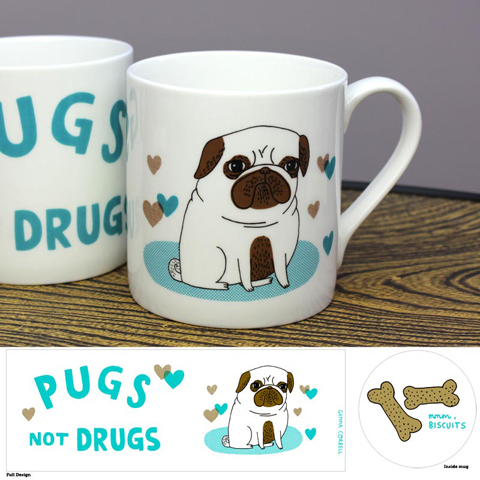 Also from Beast in Show, Gemma Correll‘s classic Pugs Not Drugs design now comes on a mug: I love the detail on the base inside. Mmm, Biscuits, indeed. 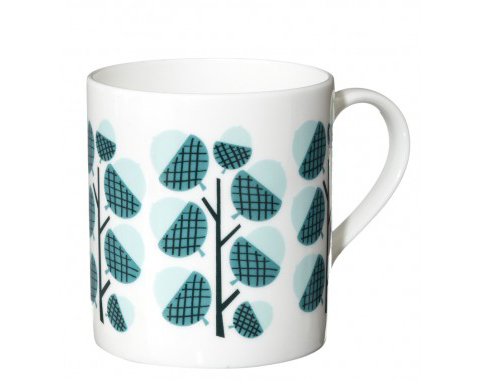 Donna Wilson turns her hand to ceramics with this lovely bone china mug featuring a mid-century-inspired Acorn design, available from Soma Gallery. Swedish designer Ingela P Arrhenius is a renowned illustrator whose retro influenced designs appear in books, on clothes and across fabrics and stationary. I love this bird mug! Available on Hus and Hem, a website that features loads of great Scandinavian design. There are many more gift ideas to come… and to read all about my best cushion finds, click here. 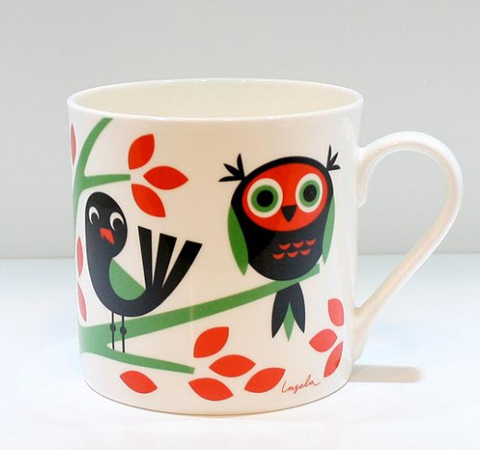 Love these mugs, especially the owl design! Personally I like handmade mugs. I bought this one by an Irish ceramicist and love it’s quirky design. Perfect for my morning wake up coffee!